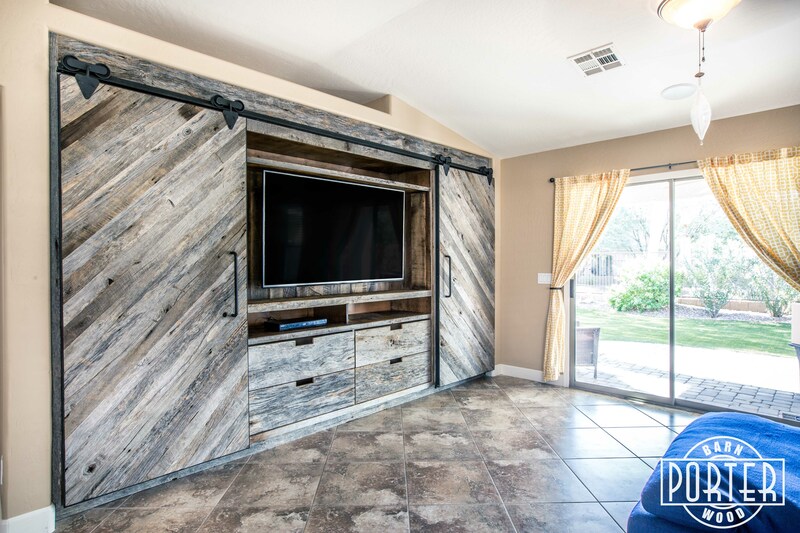 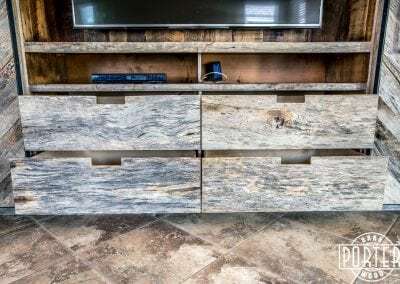 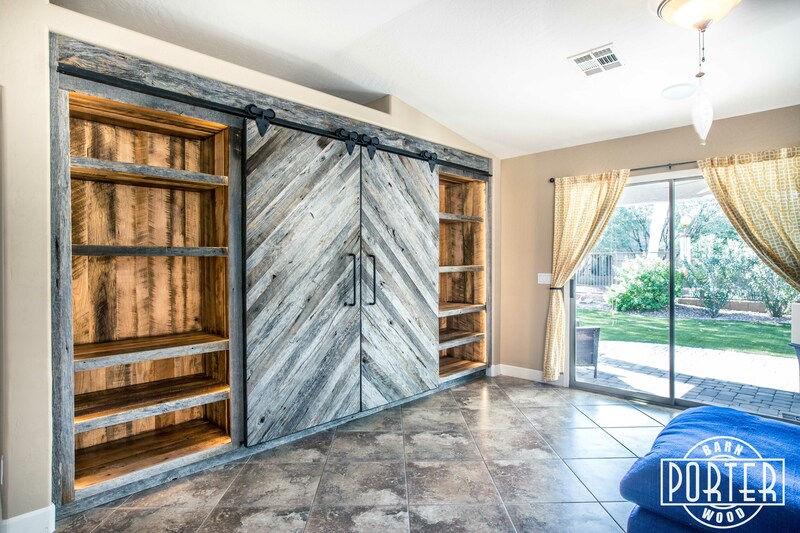 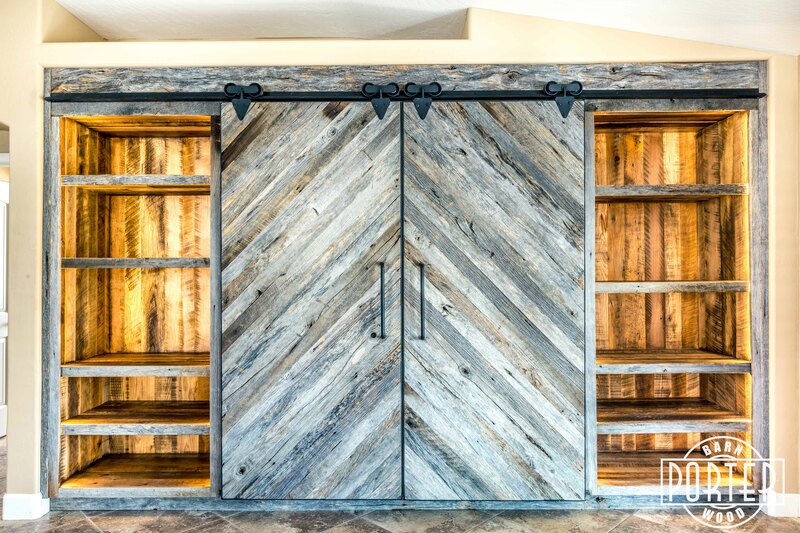 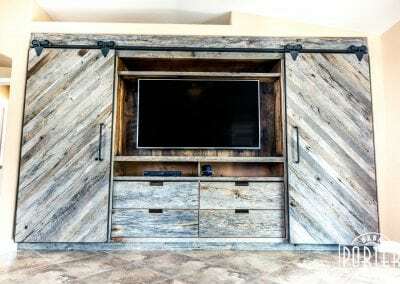 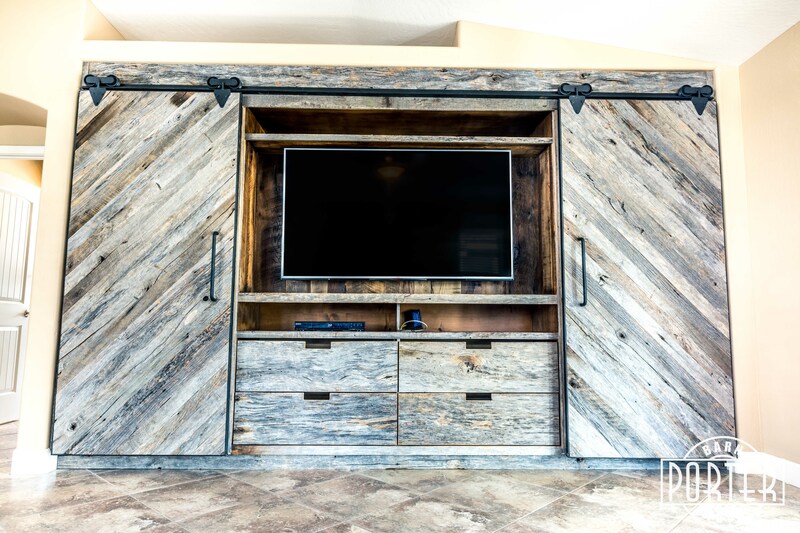 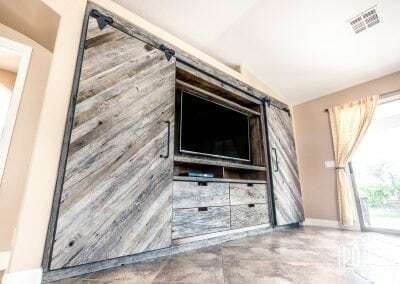 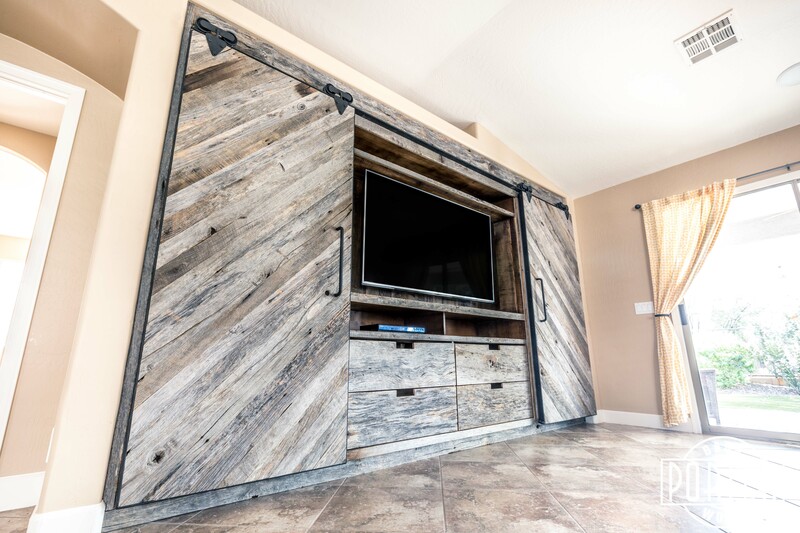 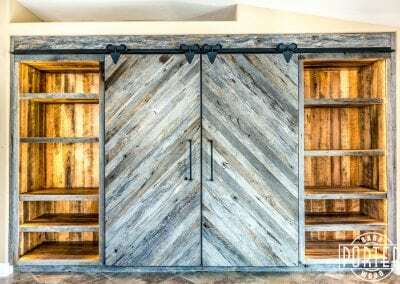 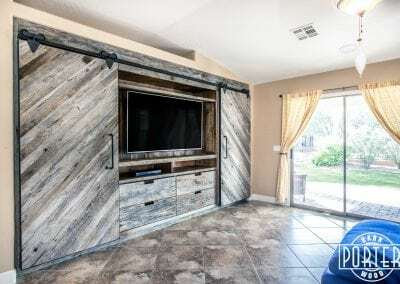 Custom Tobacco Barn Grey Built in Entertainment Center, with Chevron Sliding Doors. 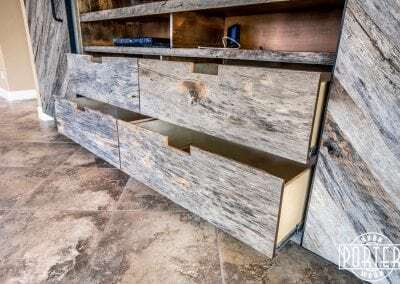 Interior shelving is made from sanded Tobacco Barn Brown with a lacquer. 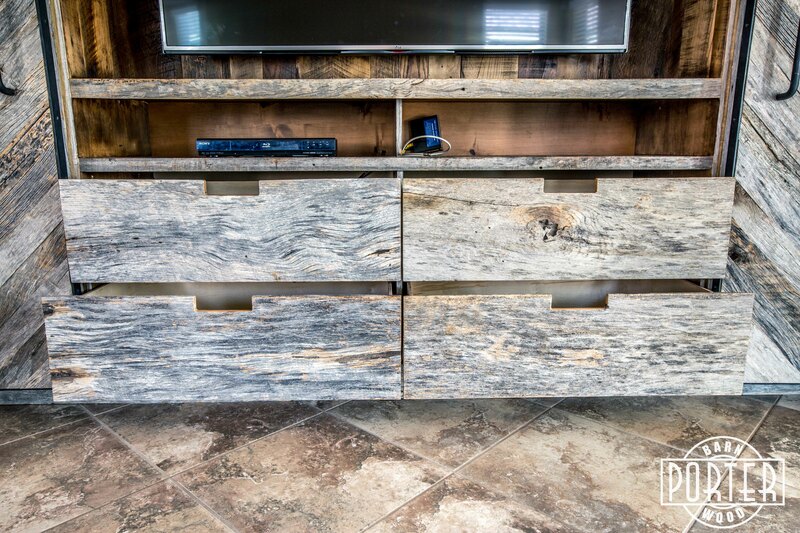 We added dimmable LED lighting to the shelves to make it pop.